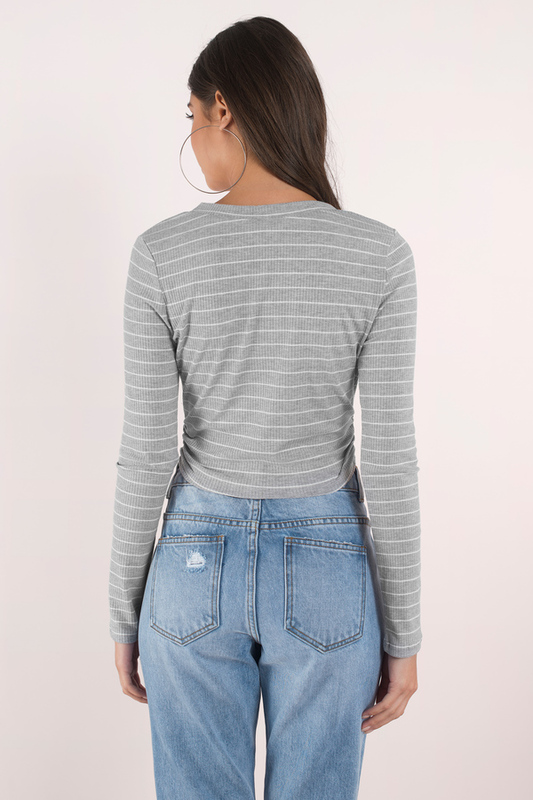 Check out Tobi's Sia Striped Crop Top Earn your stripes in the Grey and White Sia Striped Crop Top. In a stretch cotton poly mix knit, the v neck top has long sleeves and ruching at the sides for an even more flattering fit. We love this fall crop top with boyfriend jeans for an retro vibe. Earn your stripes in the Grey and White Sia Striped Crop Top. In a stretch cotton poly mix knit, the v neck top has long sleeves and ruching at the sides for an even more flattering fit. We love this fall crop top with boyfriend jeans for an retro vibe. Earn your stripes in the Black and White Sia Striped Crop Top. In a stretch cotton poly mix knit, the v neck top has long sleeves and ruching at the sides for an even more flattering fit. 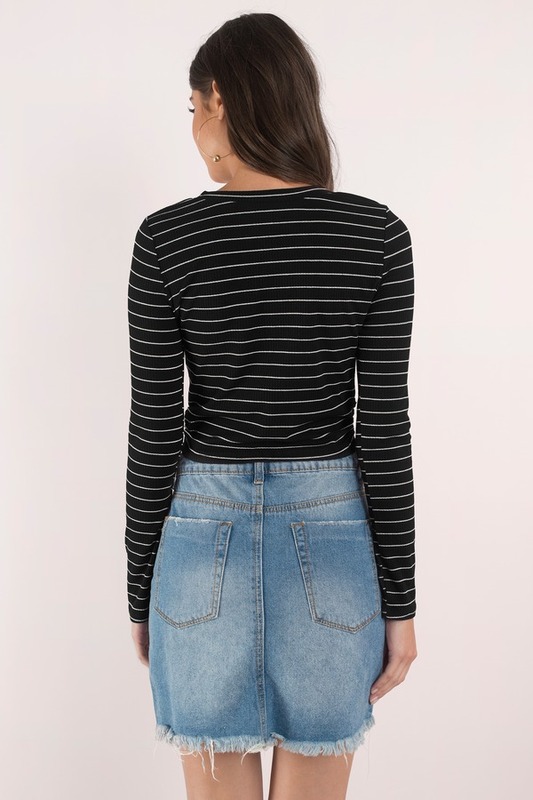 We love this fall crop top with boyfriend jeans for an retro vibe.